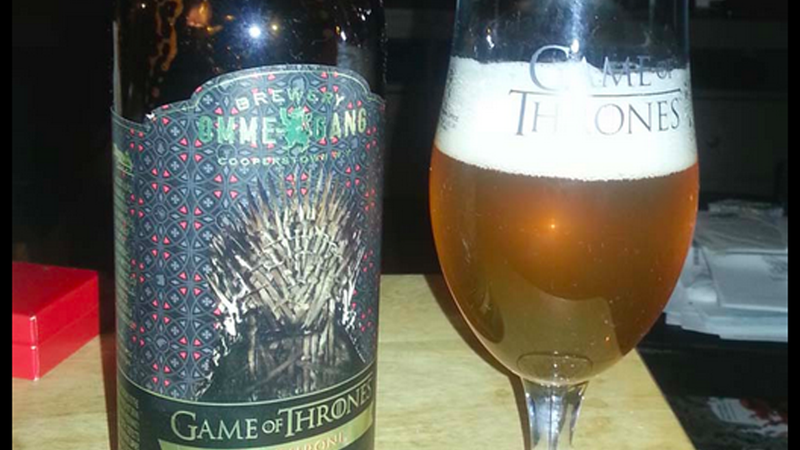 Game of Thrones Gets Beer, But Is It Drinkable? In a collaboration between HBO and Brewery Ommegang from New York, four beers will be released to celebrate the families on Game of Thrones. The first up is this blonde for the Lannisters (GET IT? ), and the other will most likely be themed after the Starks, Baratheons, and Targaryens of Incesteros Westeros. Perhaps Targaryen would be pale ale, Baratheon a stout, and Stark is obviously gonna be a bitter. Unlike previous efforts by brewers which were typically executed as ‘brewed under license' arrangements or straight forward product placement pushes, the collaboration between Ommegang and HBO is focused on developing unique beers that are named and crafted to directly tie into themes and nuances of the medieval-like fantasy realm of Westeros and the surrounding kingdoms, where the competition to sit on the Iron Throne is fierce and deadly. While it might not be something I'd drink all the time, I enjoyed the beer. It was of a great quality and paired perfectly with a Game of Thrones Season 2 re-watch. And I'm sure, will pair just as well with Season 3. The brewery itself gets high marks on Beer Advocate, and they can sometimes be pretty harsh assholes, so that gives us hope. The Iron Throne Blonde Ale will be available nationwide this month for $8.99 for a 750ml bottle (and select taps).